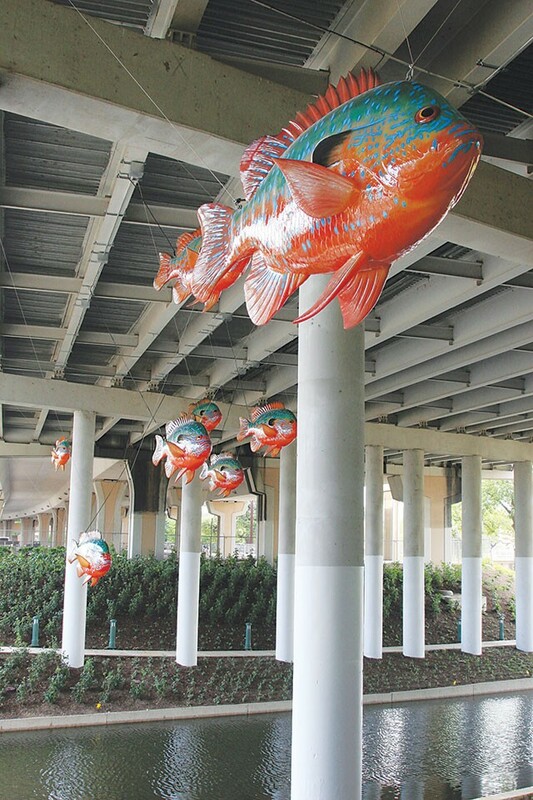 Just under Interstate 35 near Camden Street, these monster fish made by Philadelphia artist Donald Lipski seem to be jumping out of the San Antonio River to swim through the air, delighting children of all ages touring the River Walk by foot or barge. One of the most in-your-face public art projects in the city, we like ’em cause they’re huge and colorful. And they’re fish, dammit — no BS-ing that.